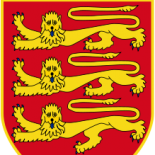 simplify and modernise the law of Jersey. Our recommendations are considered by the Government of Jersey and the assembly of the States of Jersey. The Commissioners are unpaid; we work on the reform projects part-time.